You Are The House That Love Built: House of Yoga. For two years, House of Yoga has been inviting people of all ages, all backgrounds and from all areas of the city and county to light up our community with love. In those two years, so much has happened at the house which has made its home in the City of York. Hundreds of yogis have connected with one another through their practice. Teachers have brought yoga beyond the studio’s walls to nonprofits, schools and community spaces. The House of Yoga tribe has tripled its membership, with new yogis being welcomed daily. Even the house’s physical space has grown from its 300-square-foot beginnings to a building with close to 3,000 square feet of space open for possibilities. 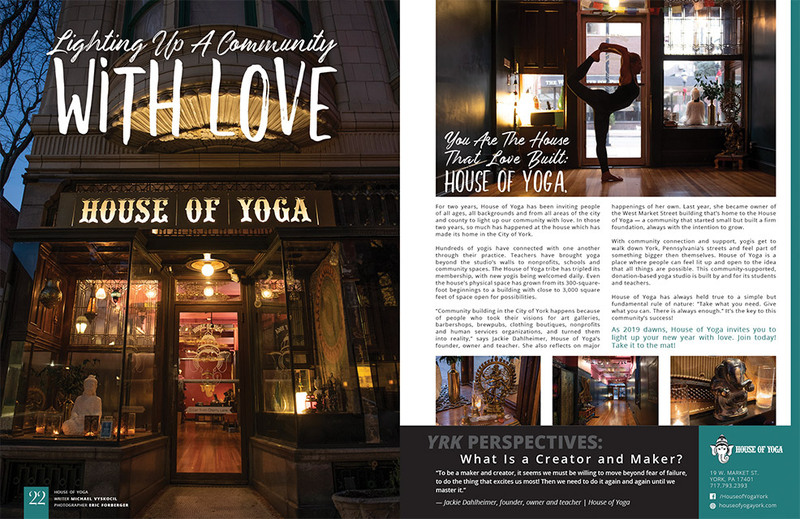 “Community building in the City of York happens because of people who took their visions for art galleries, barbershops, brewpubs, clothing boutiques, nonprofits and human services organizations, and turned them into reality,” says Jackie Dahlheimer, House of Yoga’s founder, owner and teacher. She also reflects on major happenings of her own. 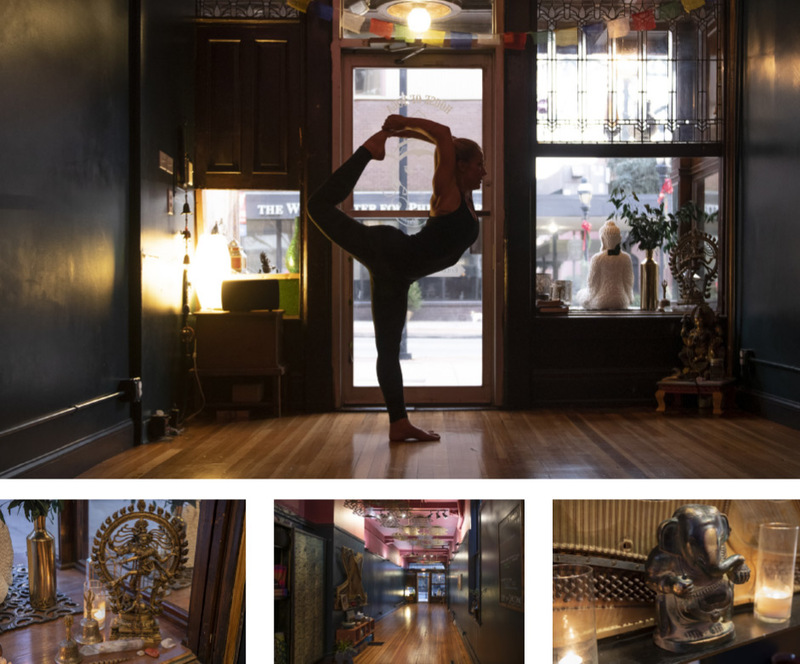 Last year, she became owner of the West Market Street building that’s home to the House of Yoga — a community that started small but built a firm foundation, always with the intention to grow. With community connection and support, yogis get to walk down York, Pennsylvania’s streets and feel part of something bigger then themselves. 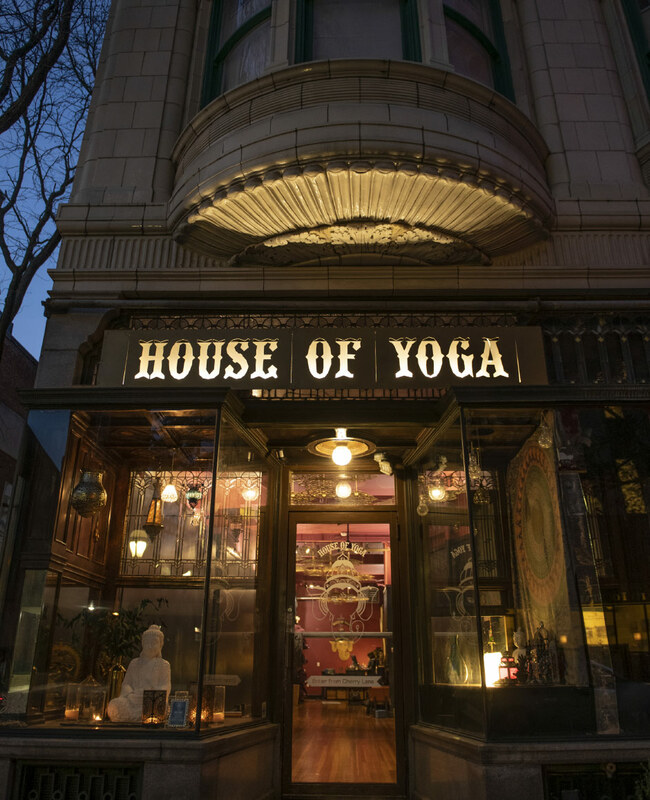 House of Yoga is a place where people can feel lit up and open to the idea that all things are possible. This community-supported, donation-based yoga studio is built by and for its students and teachers. House of Yoga has always held true to a simple but fundamental rule of nature: “Take what you need. Give what you can. There is always enough.” It’s the key to this community’s success! As 2019 dawns, House of Yoga invites you to light up your new year with love. Join today! Take it to the mat!